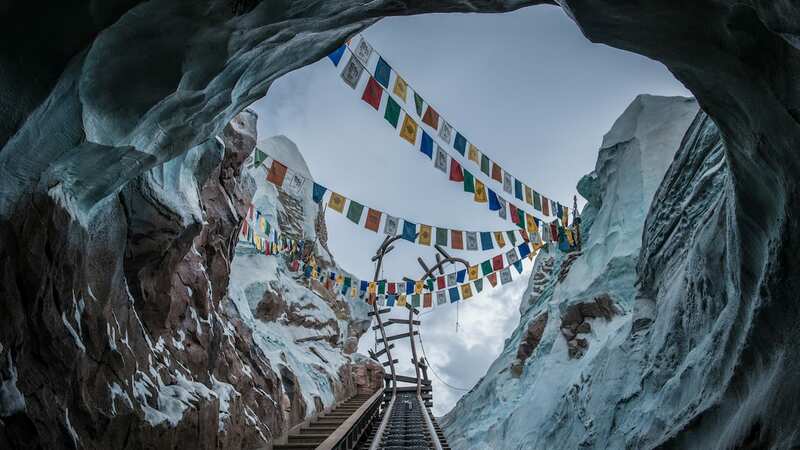 Fifty-five years ago today, on December 20, 1958, a tradition began at Disneyland park that continues to this day, both here at the Disneyland Resort and at Epcot in the Walt Disney World Resort. 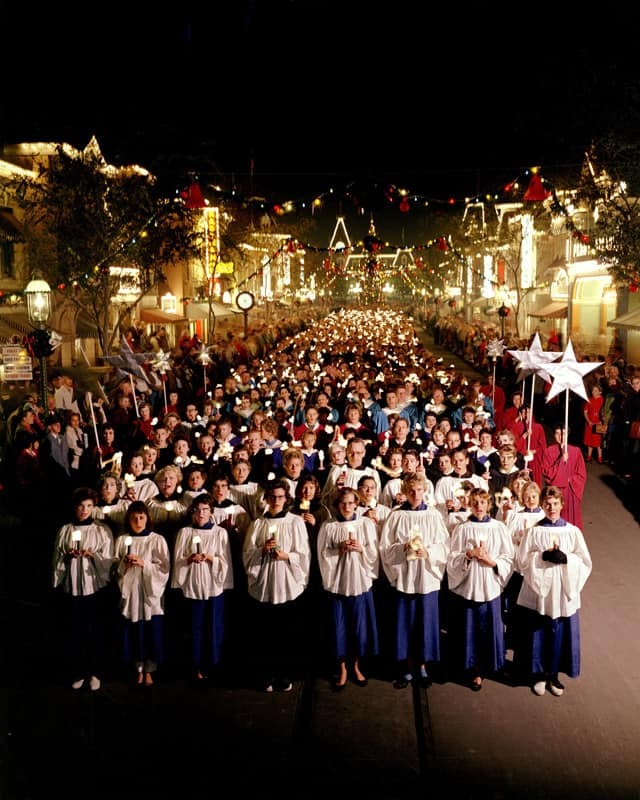 The Candlelight Ceremony and Processional is a Disney Parks holiday mainstay, in which celebrity narrators join choirs comprised of local choral groups and Disney cast members to celebrate the Christmas story. Over the years, celebrity narrators have included stars like Cary Grant, John Wayne, Jimmy Stewart and James Earl Jones. To mark this special anniversary, I’d like to again share a photo that was first posted here on the Disney Parks Blog by Heather Hust Rivera way back on December 7, 2009. Candlelight started in 1958 at Disneyland park, but the first photo we have of the ceremony is from 1959. The colors are so vivid, and Main Street, U.S.A., looks much like it does today. It seems as if the photo was just taken yesterday. However, if you look a little more closely, you’ll notice that the members of the choir are sporting various looks from the ’50s. Look at the people in the crowd along Main Street and see how well-dressed they are. Even in 2013, lots of other guests (as well as myself) dressed up for Candlelight. I love that it continues to be such a special event for families to share together. Noticed the same thing for World of Color – Winter Dreams, which I hope becomes a regular holiday tradition as well! Candlelight is one of the grandest Disneyland traditions of all! As Park “regulars” for 43 years who visit from out-of-state I was surprised when we “discovered” Candlelight for the first time just 10 years ago. This very special event has become our annual Disneyland Christmas trip every since!! Made it forever reside on the steps of the Disneyland Railroad station! Pretty amazing picture coming from the 50’s or is it Photoshop at it’s best? lol. It’s a Great pic. I have performed in the candlelight processional in the late 80’s with my high school. It was an awesome experience to be a part of. In those days it was in the train station on Main street USA in the Magic Kingdom. I was lucky enough to see the show later in life when they changed the venue to EPCOT. I found myself singing along. Loved it! That picture is amazing! It looks like it was taken with a high resolution digital camera. I can’t believe it is from the 1950s. Wow!